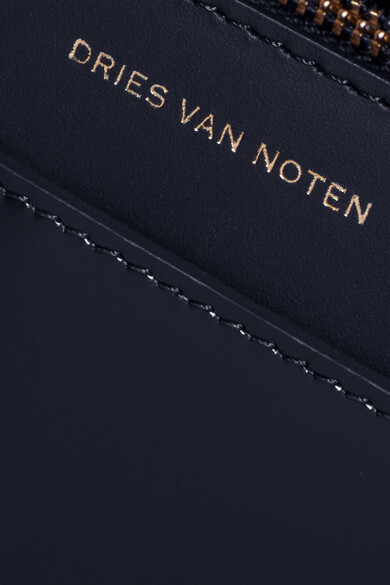 Dries Van Noten's Spring '19 lineup fuses classic silhouettes with sporty details, and the accessories follow the same theme. 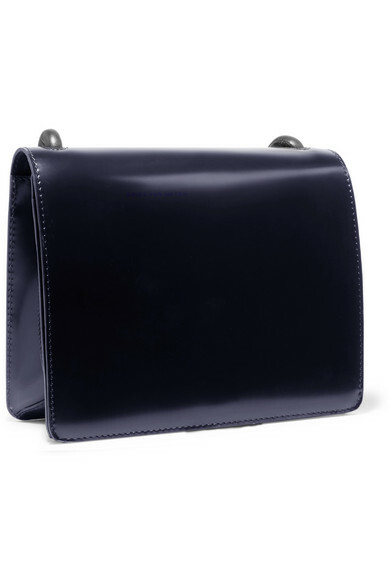 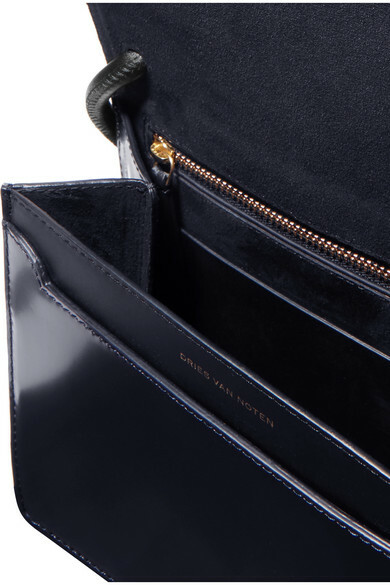 This structured bag is made from smooth navy leather and is sized to fit just the essentials. 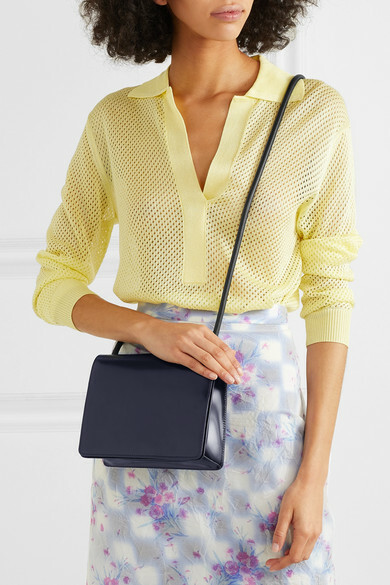 Slip the knotted strap over your shoulder or wear it cross-body. 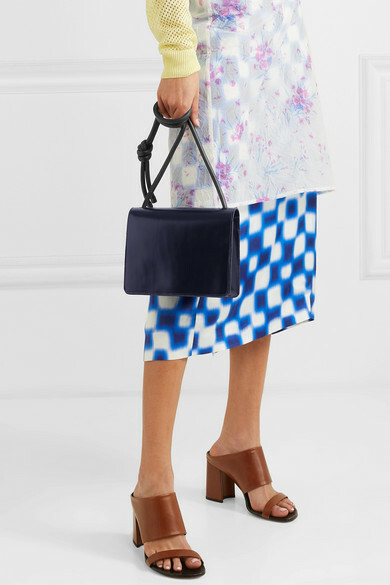 Shown here with: Dries Van Noten Skirt, Tibi Sweater.